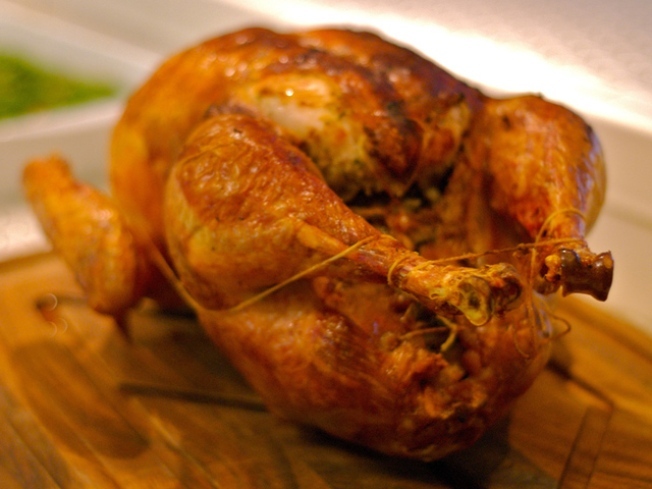 Bklyn Larder dishes out samples of its Thanksgiving menu this weekend. Andrew Feinberg and Francine Stephens of months-old Park Slope gourmet shoplet Bklyn Larder (and culty nearby pizzeria Franny's) know that you have better things to do on November 26 than wake up at 3AM to stick a turkey in the oven, or attempt perfectly stiff peaks in your meringue. So they’ve developed an exhaustive, trimmings-laden Thanksgiving menu for you to take out. Even more awesome? They’ll be cooking up a preview of the feast and holding free tastings all weekend long. So! This Saturday and Sunday, you know what to do: Skip breakfast, make your usual rounds at the Grand Army greenmarket, and stop into the Larder between 11AM and 5PM to stuff your face with deliciousness like pumpkin and farro soup, homemade duck liver mousse, and stuffed free-range Vermont turkey. Check out the PDF of the full menu (which includes foodie gift boxes for your hostess!) via Grub Street here.